I’ve been absent and I know it. I’ve been busy doing tons of other things and not stamping like I should be, but I have managed to create another video tutorial for you. “What has been keeping me busy?” you ask. Well…I’ve been busy crocheting these messy bun hats/beanies that I’ve decided to sell in my online Etsy store. I had a practice run with selling them last weekend at a local indoor garage sale and I did quite well, if I say so myself. They are the latest rage for people with long hair. And a few of us with short hair have been known to sport one on occasion as well. It is easy for me to convert them to a regular beanie without the bun opening on the top and I’ve done that with a few. My online Etsy store is called FancyforStampinEtc meaning I don’t only fancy stamping, but other crafts as well. It isn’t totally up and running yet, but it is my goal to have it complete by Tuesday of this week. 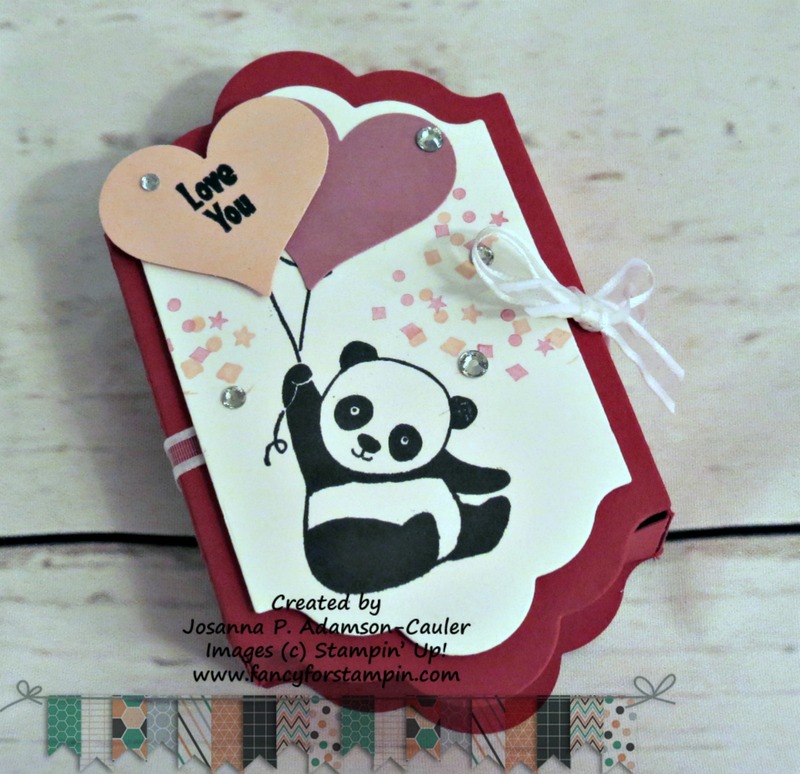 The Party Panda stamp set is a Sale-a-bration item and is yours FREE with any $50.00 purchase in my online store. Just click on the link to shop on the right side of this page or on the link at the bottom of this post. 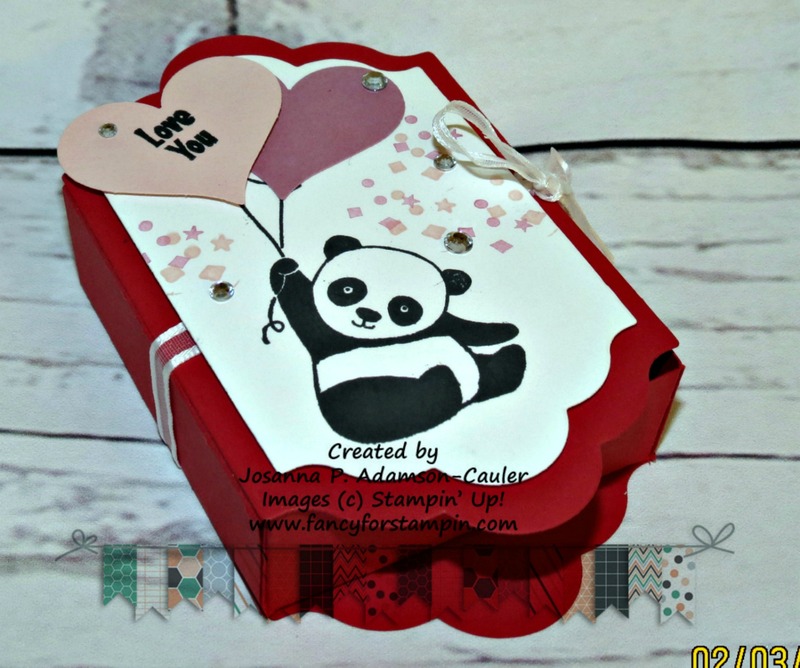 Hope you enjoy the video and you have fun making one of these cute little treat boxes for your sweetheart this Valentine’s Day.